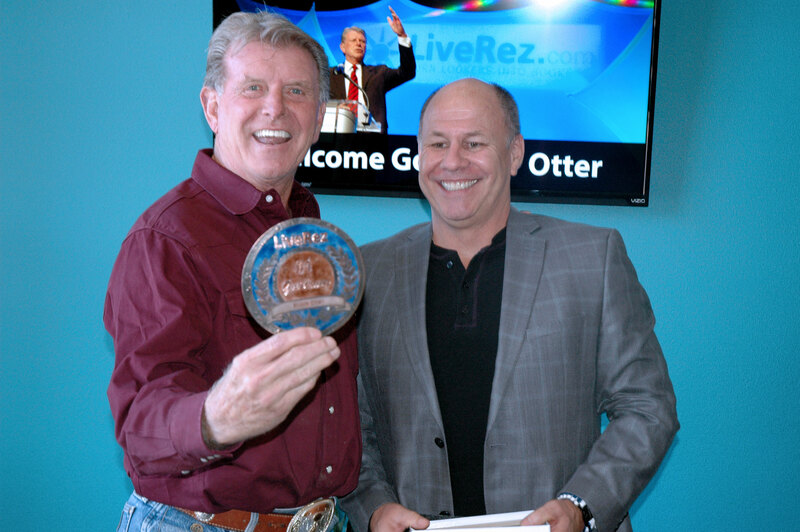 Idaho Governor Butch Otter visited the LiveRez Headquarters in Eagle, ID on Monday. During his hour-long visit, the governor toured the company’s new offices, met LiveRez employees and visiting partners, and received a special hand-crafted copper medallion as a special thanks for speaking at the inaugural LiveRez Partner Conference this September. While the medallions that were made for LiveRez partners showcased their partner number, the medallion made for Otter simply said “#1 Governor.” That sentiment rang true the day after his visit, as Otter was elected to this third consecutive term as Idaho Governor. Check out the pictures and video (below) from his visit to learn more.